Are you ready to be ruined for any other soap? 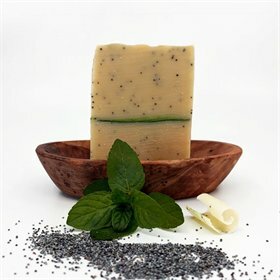 Sniff this soap, and you'll agree that it smells good enough to eat. The rich, creamy lather leaves your skin soft, moisturized and deliciously clean. 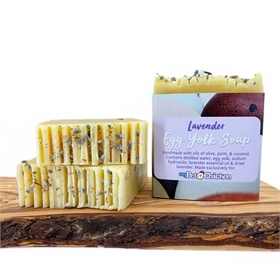 This soap is an MPC exclusive, handmade with love by one of our very own "peeps," including egg yolks from My Pet Chicken hens' eggs. 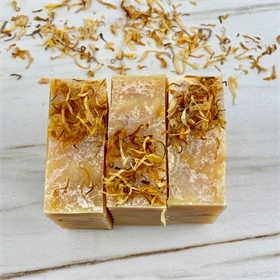 The ingredients include: oils of olive, palm & coconut and distilled water, egg yolks, sodium hydroxide, Lemongrass essential oil & dried Calendula. 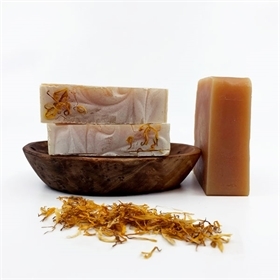 Lemongrass is known to be a natural skin toner and helps with acne. 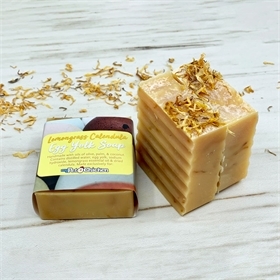 Calendula is known to reduce inflammation and calm the skin.